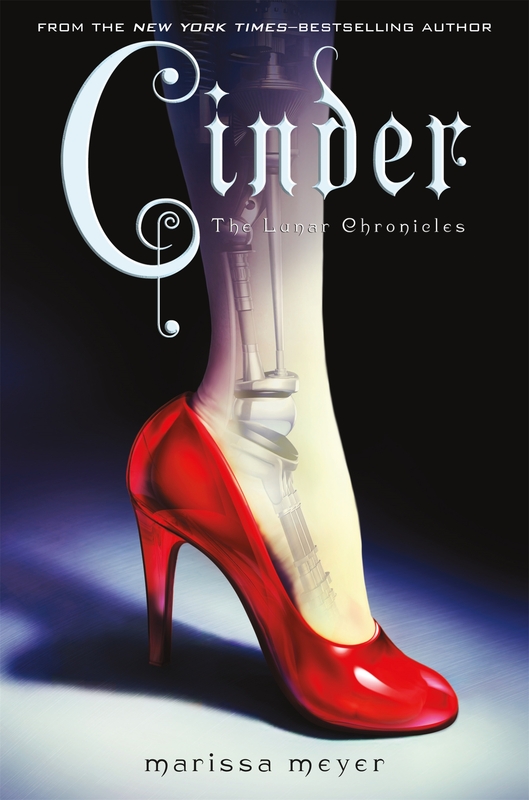 Cinder / written by Marissa Meyer. Contributor(s): Feiwel & Friends [pbl] | R.R. Donnelley and Sons Company [prt]. Material type: BookSeries: Meyer, Marissa. Lunar chronicles: bk. 1.Publisher: New York : Feiwel & Friends, 2012Edition: 1st ed.Description: 390 p. ; 22 cm.ISBN: 9780312641894 (hbk. ); 0312641893 (hbk. ).Subject(s): Cyborgs -- Juvenile fiction | Stepfamilies -- Juvenile fiction | Social classes -- Juvenile fiction | Extraterrestrial beings -- Juvenile fiction | Wealth -- Juvenile fiction | Plague -- Juvenile fiction | Kings and rulers -- Juvenile fiction | Overpopulation -- Juvenile fiction | JUVENILE FICTION / Fairy Tales & Folklore / General | JUVENILE FICTION / Science Fiction | Science fiction | Cyborgs -- Fiction | Stepfamilies -- Fiction | Social classes -- Fiction | Extraterrestrial beings -- Fiction | Cybernetics -- Fiction | Stepfamilies -- Fiction | Social classes -- Fiction | Extraterrestrial beings -- FictionGenre/Form: Science fiction. | Young adult fiction. | Science fiction. | Dust jackets (Bindings) -- 2012.DDC classification: [Fic] Other classification: JUV012030 | JUV053000 Online resources: Cover image Summary: As plague ravages the overcrowded Earth, observed by a ruthless lunar people, Cinder, a gifted mechanic and cyborg, becomes involved with handsome Prince Kai and must uncover secrets about her past in order to protect the world in this futuristic take on the Cinderella story. "Book design by Barbara Grzeslo"--t.p. verso. Cinder / by Meyer, Marissa.